Norman Equipment Company began life in a garage on Marquette Road in Chicago. Founded by John Warren and the elusive Mr. Norman in 1946, the company soon outgrew its original location. Mr. Warren bought out his partner and relocated to a much larger facility on Western Avenue, where business continued to thrive under the name Norman Engineering. In addition to founding one of the largest fluid power distribution companies, Mr. Warren was a pioneer in miniature hydraulics and helped develop the hydraulic inoculation gun, was a founder of Oildyne Inc. and in association with the Illinois Institute of Technology, was instrumental in developing robots used to test space equipment. The engineering developed for the robots was later used by the Air Force to develop artificial limbs for amputees. 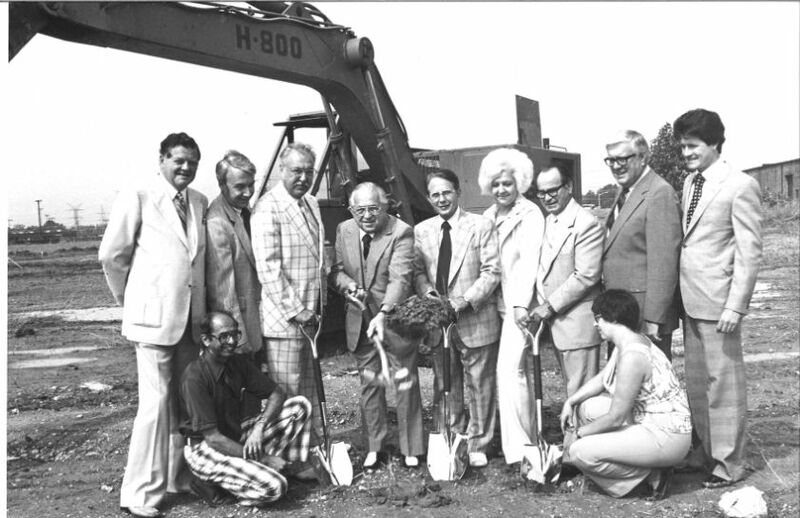 Expansion was needed again and by 1979 ground was broken for a new, 60,000 square foot facility located in Bridgeview, Illinois, a suburb of Chicago. As the company continued to grow, new divisions were added including the Norman Power Unit Division located in our regional center in New Berlin, Wisconsin and the Norman Filter Division, which has since become a separate entity, The Norman Filter Company. Upon Mr. Warren’s death in 1984, the company was bought by one of his trusted associates, Phillip Netznik.Today the Norman Equipment Company is still owned and operated by the Netznik family. Phil Netznik ll has recently taken over the reins, and is now the company’s President. Phil has the leadership qualities and vision to guide Norman Equipment into the future. Norman Equipment has always been a very family friendly company that cares about its employees as is evidenced by our high employee retention rate... and that caring spills over to our strong commitment to customer care. Now celebrating our 70th year in business, Norman Equipment Company is still grounded in the principles that we were founded on – to bring our customers quality products from reputable, world-class manufacturers and to provide the very best customer service and support. 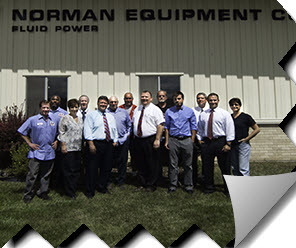 Whatever your needs, from the most basic component parts to the most technically intricate system, Norman Equipment Company can meet and will work to exceed your expectations. Norman knows Fluid Power. We are and have been the Total System Solution Since 1946. And we think that the elusive Mr. Norman would be quite proud of his namesake company.